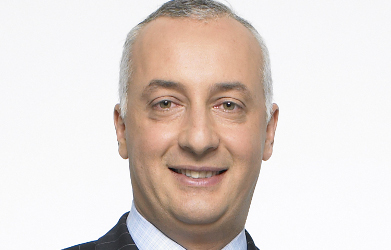 Mahmoud Salem is a Managing Director in Bank of New York Mellon’s Investment Services sector and the Regional Manager for the Middle East and Africa. As head of transactions for the region for more than 15 years, Mahmoud has helped numerous governments and foreign issuers structure and execute IPOs, secondary offerings, mergers and acquisitions and other corporate transactions involving depositary receipts. Mahmoud structured the first depositary receipt programs for the following countries: Kuwait, Qatar, Oman, Jordan, Tunisia and UAE. He has helped structure some of the largest cross-border acquisitions in the Middle East region and has worked on a number of key NYSE and NASDAQ listings and offerings for foreign issuers from Europe and South Africa. Mahmoud currently serves on BNY Mellon’s Middle East and Africa Council and on the Bank’s Depositary Receipts Division’s Senior Management Committee. Mahmoud also held the role of Head of Global Marketing for the Depositary Receipts Division from 2011 to mid-2014. Mahmoud was a board member of the Arab Bankers Association of North America (ABANA) from 2006 to 2012. He speaks regularly at capital markets and securities industry conferences and forums. He received a BA and an MBA from Rutgers University and joined BNY Mellon in 1993.